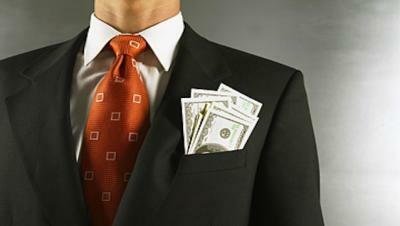 Every year, we read about the highest paid CEOs. Like clockwork, end-of-year filings from publicly traded companies are intensely examined, and CEO pay is always under the microscope. The analysis reveals the most “appalling or egregious” pay package. Or, it illuminates the executives in the crosshairs for golden parachutes. The ensuing conversations and media reporting will center on the one percent of CEOs – like a circus sideshow. In reality, some of these pay packages are warranted, and some not. But, there will always be drama. However, this year, before the CEO media circus of pay stories begins, I wanted to preempt them with a dose of reality – the reality that faces boards when determining CEO pay. The truth is that, in considering pay, board members focus on one thing: return on talent, or ROT. It is no different than return on equity, or return on investments. CEO remuneration needs to be structured to incentivize and maximize the return – as I will explain later. So, at the CEO level, how does the board measure CEO ROT? The answer is that there is no single answer. But, boards must find their company’s model for how to structure and measure CEO pay – and in doing so, answer why it is worth it for shareholders. First, let’s set some framework. As an important data-point, it has been reported that the average tenure of a Fortune 500 CEO is 4.6 years – about the length of a presidential term. And, the average tenure of all CEOs according to published reports is 8.1 years. At the Fortune 500 level, long-term CEO tenure is short. Yet, CEOs are most commonly measured on an instant gratification scorecard of quarterly and annual results. Yet the board has a broad fiduciary responsibility to shareholders: it must deliver short-term results and assure the long-term health of the company. In determining the return on talent (ROT) of a CEO, boards need a mix of short-term and long-term performance goals. As you can see, a negotiating issue is always, how to define long term: 4.6 years? 5 years? 8 years? 10 years? This balancing act between relentless quarterly earnings pressure from Wall Street, coupled with the need for a long-term strategy is why being a CEO can seem schizophrenic: have a long-term strategy, but meet this quarter’s expectations. In the public markets, boards seeking return on talent from the CEO must be measured with short and long-term goals. Under this framework, boards should assure that compensations plans fit their strategy. The primary objective: create the levers of behavior that will drive desired outcomes. The form of compensation, mix of pay and incentives (short-term versus long-term, cash versus equity), and payment period (“lock-ups”) should be considered. Next, a careful review of possible unintended consequences – or outright gaming the system – should be undertaken, such as inadvertently encouraging too much risk-taking or cutting R&D investment to improve margins. In other words, the pay plans need to carry incentives for the right kinds of behaviors with regard to risk-taking, growth, and sustainable performance. Now, if the CEO is wildly successful. Shouldn’t he or she be paid accordingly? Should he or she get paid well for meeting short-term goals, and also share in the upside of increased value over the long-term? At the same time, shouldn’t the CEO who does not perform be ousted? With an average tenure of 4.6 years, any CEO can be here today and gone tomorrow. The CEO position is a fragile one. And success is not fully in a CEO’s control. A CEO must also enjoy good fortune, or more directly said, have some luck on his or her side. Timing is everything. Being hired at the right time in the history of the company, and being hired at the right time in the economic cycle is critical. I am not saying that CEOs are stewards of the inevitable, but I am saying that it matters greatly when they join the company, and where the world is in terms of the broad economic cycle. A board needs to understand these macro trends as well. A CEO hired in 2008, arguably one of the toughest economic recessions ever, was working in a different business environment than they would be today. Uncertainty and the fragility of the CEO position in general is why getting great executive talent to agree to a CEO position is not a slam-dunk. Most people taking the risk of CEO want guarantees. The obvious reason for a guarantee is they can be “here today and gone tomorrow” as mentioned. But for CEOs it can be “here today and gone forever.” In other words, you never get hired again. CEOs at the Fortune 500 level, like it or not, perform their job in the public eye and under the scrutiny of the public markets. The job of CEO is a high stakes, high rewards game. The most successful CEOs make many millions, but grow enterprise value by many billions. The best CEOs actually do not protect their jobs first; they protect the company and shareholders first. In doing so, they protect themselves because; he or she becomes an excellent return on talent for the company. So, remember what counts when the CEO pay circus begins. Reported pay packages are really a sideshow to the real show inside boardrooms where the real balancing act takes place to deliver the greatest return on talent. Gary D. Burnison is CEO and board member of talent management firm, Korn/Ferry International. He is a New York Times best-selling author of No Fear of Failure and the most recent bestseller, The Twelve Absolutes of Leadership.